Yayoi Kusama. ‘All the Eternal Love I Have for the Pumpkins, 2016, at the Hirshhorn Museum and Sculpture Garden. Wood, mirror, plastic, black glass, LED. Collection of the artist. 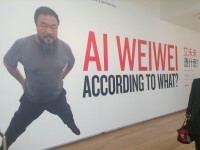 Courtesy of Ota Fine Arts, Tokyo / Singapore and Victoria Miro, London. © Yayoi Kusama. TORONTO — Last year, Japanese artist Yayoi Kusama caught Toronto by storm. 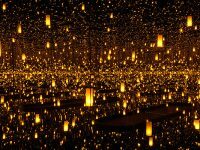 The traveling exhibition featuring her work, Yayoi Kusama: Infinity Mirrors, became the hottest tickets in the city and attracted over 169,000 visitors to the Art Gallery of Ontario. Through a crowd-funding campaign, the AGO has been able to purchase one of Kusama’s infinity rooms to be on display at the AGO, forever. 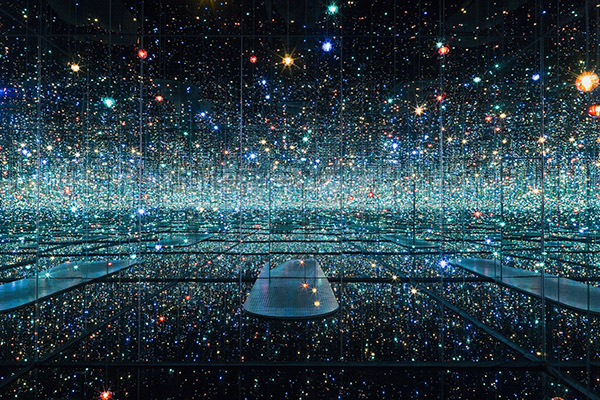 Called, INFINITY MIRRORED ROOM—LET’S SURVIVE FOREVER, the interior of the small room is covered in mirrors and filled with mirrored spheres to create the illusion of infinity. Over 3,000 people donated in November to help the gallery secure the artwork.